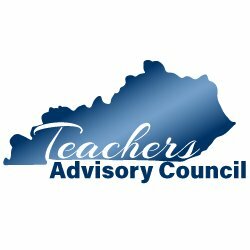 This past week at my KLN (Kentucky Leadership Network) meeting – we were given a modified pair-share as we participated in our book study of Mathematics Formative Assessments – 75 Practical Strategies for Linking Assessment, Instruction and Learning (Keely, Tobey 2011). I was in a group assigned to #72 Wait Time Variations found on page 212. Ok, I thought, I know I need to pause 3-5 seconds following a question before calling on a student…as I began to read my assigned reading. Wait Time II grabbed my attention…something, I’m not sure I’ve ever done consciously. As I read more – the authors encouraged to use a 3-5 second pause AFTER the student answers and before you respond to their answer – this allows both the student and the class to think about the response… GREAT. IDEA. Makes so much sense – seems so simple – so why haven’t I thought about it before? I know I’ve repeated a student response and paused – but I believe this will have a positive affect in my classroom. teacher responses are more thoughtful, tend to keep the discussion focused and ongoing. This is true of any work you set out to do. When you take time to develop a connection with those on your team – you are more likely to move ahead maybe not more quickly but guaranteed with better results. When people trust one another, they are focused on the task in front of them and not trying to figure out how the other person is going to under cut them. When there is no relationship, there is not buy-in, so the work that is completed is not of the quality most of us want. Our most important resource in any field is our human resource. When you feel that you are appreciated, that you have ideas that want to be heard, you are more likely to share or make suggestions. You want to be part of a team that values you and your work. When our students feel valued, they want to be part of the team in our classrooms. My schedule consists of year-long classes and with some of my students, it feels that it takes until right before Christmas before I have made a connection/bond with them. Trying to convince them I am there for them – to help move them forward – but its not about my talk – its about my actions. I can tell students I care all I want, but the way I treat them – either with respect and support or tell them what to do and expect them to do it right the first time around without my help…there are many scenarios that can play out in a classroom – is what they know. In the end, if you want students to move forward, they must know that you care, that you value them as a person. In all my years of teaching – I have slowly come to realize the majority of my kiddos do not experience the same home life I did growing up. I have never experienced what many of my students go through outside of the classroom, so at times, I find it hard to relate. Looking back, I know I’ve expected students to walk in – with everything completed – no matter what – to perform at the very highest potential, regardless of what adversity they face outside the school walls. So many of my students have absent parents / adults or single parents who are struggling to do their best and make ends meet. I even wonder that a few of them are homeless but have found a way around it – to hide it from the system. I teach in my home town – the culture is much different than when I grew up. Somewhere along the way, I realized that I must be aware of how to make my classroom a safe environment for my students if I expect them to excel at all. I’ll admit there are times I’ve lost my cool – noone’s perfect. But I believe that you can ask any student from all my years of teaching and they’ll agree that I cared about them. Sometimes, we have a run-in with a student (or colleague for them matter) – and we want to isolate ourselves, remove them from our classroom / environment – because we don’t want to have to deal with them. My first year teaching, I remember a student, whom I will call M, was in my face, cursing me, because I was holding them accountable – I remember thinking this student would hit me at any moment. I went to my principal, basically to ask that the student be removed from my classroom. Ms. Jenkins (fine woman and outstanding administrtor) made a statement that to this day I can still hear, “Ms. Johnson,” she said, “Someone needs to be the adult in the situation.” I fumed as I left her office. How dare her say that to me! I was angry. I went to the restroom and I cried. How was I supposed to work with a little brat who was allowed to fly off the handle, yell, curse at me – in front of my students? Why should I have to teach a kid with no respect for me? When we have respect for our students. They know. When we care. They know. When they trust us, they’ll attempt to learn everything we place before them. I often wonder what life M is living now. But for that moment in time – M was a starfish – I made some difference in M’s life. I cannot remember the exact place I aquired this activity – I’m thinking its CORD related from years back. Students create a 20 x 20 Quadrant I coordinate system using string and the tiles on the floor. In small groups, they are given their shipping lane equation and 3 enemy lane equations. When each system is solved, they place a “mine” on the coordinate solution. When all groups have plotted their mines, we graph the enemy lanes – using 2 points from the line. Happy to say all groups earned at least 3’s on the completion of their task. It was simple implement, a quick review and students said it was fun. Self-assessment was simple – if it wasn’t a direct hit, the group needed to revisit their work. During our debriefing, group mistakes ranged from a simple mis-plot on the grid; using the y-coordinate for the x when finding the second coordinate; simple arithmetic – forgot to divide by the coefficient; The groups who had to revisit their work – were able to explain how to correct their work. 4 – All 3 systems are solved correctly, mines are plotted correctly, to result in direct hits. 3 – All systems are solved correctly, but a misplot results in an almost hit. 2 – one of the systems contains errors in solution. 1 – 2 of the systems contain errors in solution. How often do we allow “THINGS” to take us away from our students, while sitting there in the middle of our classroom with them? One response, “not sitting at your desk and you should keep doing this,” is something that makes me an effective teacher (huh? really?) and I should continue doing it? I was a bit perplexed. I asked my student to explain. Simply said, I rarely sit at my desk-always up, walking around – they said to either answer their questions, point out a mistake, a pat on the back or keep them on task. The student went on to say, that if I didn’t keep doing this, they would likely not work as hard, probably even try to sleep or talk and distract others sitting nearby. Ok, that makes since now. I guess I assumed that since this is how I and many of my colleagues teach – most everyone does the same…is this not so??? Another post from the same blog “Having Kids Made Me a Better Teacher,” – I couldn’t agree more. Having a school-age child, it makes me angry to think there are teachers who are never focused on their students. Those students sitting unengaged in those classrooms are someone’s children…could be even be mine* – quit wasting good educational time! Administrators – if they’re not doing their jobs to a level of excellence – tell them to get on board – or they’ll walk the plank! And follow through!!! Education is NOT just a job. It is where you share your passion for learning! You get the opportunity to encourage, challenge and help young minds dream about their future. Yes, there is much work to be done – every day is not easy. But when you start getting those notes, emails from former students saying you made the difference for them – you know you’re in the right place. I know of several times, I’ve given anassignment and went to my desk to catch-up on grading, etc. but, Stump the Teacher’s post made me realize how important it is for my students to know I am in that classroom for them and their learning. If we want our students to be engaged – then we must model that for them. I only have them with me for a short time each day – I need to be fully aware of them – focused on them, to give them the best learning experience possible. Why are my students engaged during classtime? Because I am engaged – they have my full, undivided attention and my actions prove it to them…they told me so! *my child’s teachers have been amazing to say the least…and for this, I am thankful!